Home/Reformation/Catholic Councils/What happened at the Council of Trent? 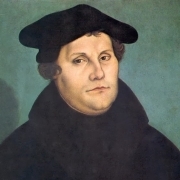 In November 1518, Martin Luther published an appeal from the Pope to the emperor and nobility of Germany on behalf of the Reformation of Christianity. He was convinced that he would be condemned at Rome for his heretical doctrines. He wanted to be tried by a Christian council. Because of this precedent, the Diet at Nuremberg, which met in 1522, decided to demand a “free Christian council” on German soil. Rome agreed to the council, but stipulated it wasn’t to be on German soil. After much disputing between Germany and Rome, Emperor Charles V decided that he considered the calling of a general council to be expedient and proposed the city of Trent as the place of assembly. The Council of Trent met 25 times and made many decisions about Christian doctrine. However, this doctrine was Catholic, not Protestant, and many Protestants fought against the decisions. 1. A decree concerning original sin. Original sin is the sin that Adam committed in disobeying the commandment of God. As a consequence of this first sin, they lost the grace of original holiness and received a hereditary stain with which we are born on account of our origin or descent from Adam. 2. Five anathemas regarding belief on original sin. If one did not adhere to the above dogma, they would be anathema from the Church. Between the fifth and sixth sessions there was a war between Charles V and the Protestant Princes. The Sixth Session, held on January 13, 1547, resulted in a decree concerning justification in 33 canons. 1. A decree concerning the Sacraments in general (affecting 13 canons), 14 canons concerning baptism, and 3 canons dealing with confirmation. The canons on the Sacraments in general were essentially trying to discourage anyone from doubting the authority of the recently instigated New Laws, and attempting to justify the changes by claiming God Himself was behind all the reform. The canons on title=”Read about the Biblical stance on baptism”>baptism also contained many references to the Churches authority and threats of anathema. The 3 canons on confirmation appealed to the authority of the Church and were just as unBiblical as the previous canons in their claims. 2. A decree in 15 chapters concerning reform—the Holy Council intended to continue the work begun concerning residence and reform. They thought it well to decree these reforms by the authority of the Holy See. During the Eleventh Session, held on May 1, 1551, the dogma on the Sacrament of the Eucharistwas composed. The Twelfth Session, however, was essentially cancelled because the French king prohibited his delegates from attending. 1. A decree concerning the sacrament of the Eucharist in 8 chapters and 11 canons; these solidified proposed dogma from the short Eleventh Session. 2. A decree concerning reform; these related to the authority of Bishops in regard to criminal laws. 3. A decree to postponing the definition of four articles concerning the Eucharist. 4. A decision to grant letters of safe conduct for Protestants attending the next Council. 1. A canonical decree on the Sacrament of Penance. Confession: You must confess all known mortal sins to a priest. You can confess all your sins, but start with any mortal sins. The priest is bound by the most absolute secrecy and confidentiality known to humankind. Not even the Pope can get a priest to tell who went to him for confession or what was confessed. The priest must be willing to endure prison, torture, and death before violating the Seal of Confession, the secrecy of the sacrament. Contrition: You must be sorry you committed the sins and resolve to do your best not to repeat them. 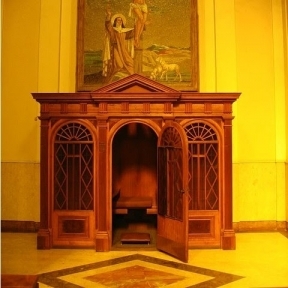 Penance: After you confess your sins, the priest gives you a penance to perform. A penance may be to do something nice for your enemy every day for a week. It may be to visit a nursing home or hospital one day a week for a month. It may be to donate time to a soup kitchen or clothing bank. It may involve any one of the corporal or spiritual works of mercy. Or it may be a set of prayers, such as saying the “Our Father” or the “Hail Mary” a certain number of times. Whatever the penance, it’s merely a token, because Catholics believe that the sacrifice of Christ on the cross is what made atonement for our sins. Your penance is for your benefit—to remind you that God comes first and you come last. 3. Fifteen canons condemning heresies to do with different beliefs about penance. 4. Canons condemning heresies on wrong uses of Extreme Unction. The Fifteenth Session was held on January 25, 1552, and was very brief. The actions of this Fifteenth Session included another safe conduct promise for Protestants. Newly inducted Protestants who were starting to acquaint themselves with the Council demanded that all earlier decisions of the Council be recalled and that all debates be deferred. The Council did not accept these demands. They were discussing the Holy Sacrifice of the Mass and the ordination of priests, but deferred these discussions to the Pope in order to give the Protestants safe conduct. Around this time, the attack of Maurice of Saxony on Charles V made the city of Trent unsafe for the council, so the Sixteenth Session of April 23, 1552, was forced to produce a decree suspending the Council for two years because of traveling dangers. Shortly after these events, the Pope died. Pope Paul IV (1555-1559), who was hastily elected, agreed to the proposed reforms to the Catholic Church but did not reconvene the Council. His successor, Pope Pius V (1559-1565), reconvened the Council, but the problem of a new location was an immediate issue. Spain’s emperor Ferdinand and the King of France opposed going back to Trent. The Protestants opposed the Council itself because they knew it would cause many restrictions. After a few altercations, the different countries involved left the decision to the Pope, but the Protestants still argued against the Council. The Seventeenth Session was ordered to begin on Easter, 1561, in Trent. However, the delegates were not able to arrive on time and it was postponed until January 18, 1562. This session was taken up with arguments against the Council by the Protestants. 1. A decree concerning the choice of books (opinions on this were included in the Index of Forbidden Books). 2. The granting of safe conduct to the German nation in a general congregation and, an extension to other nations. The Ninteenth and Twentieth Sessions were unproductive again because of Protestants’ arguments against the Council. 1. A decree concerning Communion. 2. A decree on Communion of little children. 3. A decree on reform concerning ordination to the priesthood. 1. A decree on the sacrifice of the Mass. 2. A decree on the suppression of abuses in offering the sacrifice of the Mass. 3. A decree concerning various morals of the clergy. 4. A decree on the Eucharist. The Twenty-Third Session, July 15, 1563, concluded with a decree on the Sacrament of Holy Orders and a decree concerning marriage including marital contracts, spiritual relationships, public honesty, fornication, situations wherein marriage is prohibited, punishments for abductors, marriage of vagrants, punishment for concubinage, retaining liberty of marriage, and suspension of marital ceremony on certain Holy dates. 1. A decree in 12 canons on the doctrine of the Sacrament of Matrimony; particularly to define the institute and then to declare those who disbelieve the stated law to be anathema. 2. A decree on the creation of Bishops and Cardinals and other such related decrees on the religious personnel in the Church. 1. A decree on the veneration and invocation of the saints, their relics, and images, and purgatory. 2. A decree concerning reform of monks and nuns. 3. A decree concerning living conditions, authority limits, and duties of cardinals and bishops. 4. A decree upholding chastity among the religious. 5. A decree on indulgences. 6. A decree on fasting and feasting days. 7. A decree that the Pope prepares the Missal, the Breviary, and the Catechism. 8. A list of forbidden books. The decisions of the Council were signed by 215 Council members and confirmed by the Pope. It was signed and accepted by all the countries involved by January 26, 1564.
i. Dogmatic Cannons and Decrees of the Council of Trent Copyright Rockford, IL: Tan Books and Publishers, 1977): 11-13.
viii. “The Congregation of the Index,” The Galileo Project (Rice University). Also, Tom Heneghan, “Secrets Behind The Forbidden Books,” The National Catholic Weekly (February 7, 2005). ix. “List of authors and works on the Index Librorum Prohibitorum,” Wikipedia.